A two-act ballet, originally choreographed by Marius Petipa and Lev Ivanov with a score by Pyotr Ilyich Tchaikovsky. 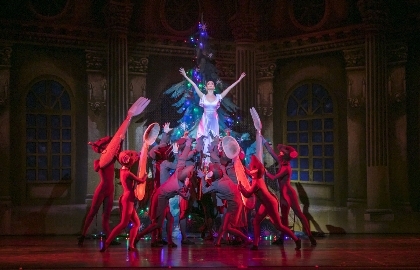 The libretto is adapted from E. T. A. Hoffmann's story «The Nutcracker and the Mouse King». The «Nutcracker» is a classical ballet always drawing audiences of all ages. At the end of the 19th century the director of imperial theaters Prince Vsevolzhsky decided to create a magnificent and luxurious performance that would become the main event of the season. That's how Tchaikovsky got his commission to write the music to the «Nutcracker». Nutcracker ballet based on scenario of Marius Petipa premiered in December 1892 at the Mariinsky Theater in St. Petersburg. Since then the ballet has undergone a record number of stagings – both classical and modern ones. 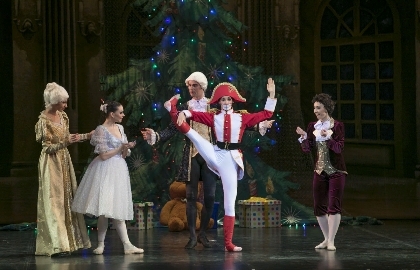 This ballet is based on Gofmann's fairytale «The Nutcracker and the Mice King». On Christmas Eve Drosselmeyer has prepared wonderful Christmas presents for the kids – windup dolls, for his goddaughter Mary he made a strange doll that cracks nuts – the Nutcracker. At night the Nutcracker comes alive and turns into a beautiful prince. He fearlessly comes out against the mice, beats the Mice King in battle and together with Mary goes on a fairytale trip.